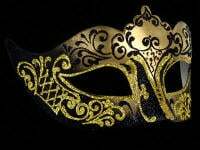 Constantly pushing the boundaries of cool, sophisticated style, Simply Masquerade is a brand that is quick to deliver luxurious, chic design that embraces the very latest fashion forward trends and styles. 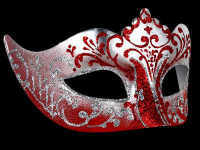 The ultimate sparkling party accessory, this black & red Stella mask is the epitome of designer luxe that will take you from party to posh masquerade ball with effortless ease and commitment. 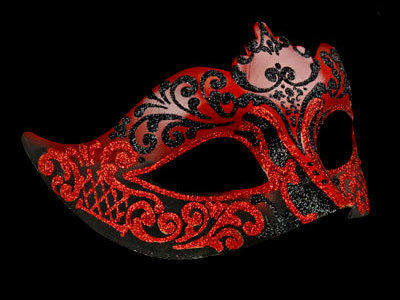 With its stylish black & red painted base with red & black glitter swirls added to really make an impact when you enter the room. 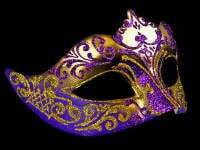 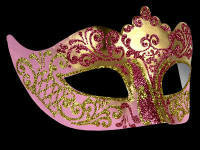 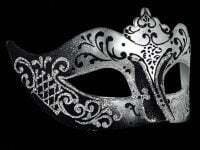 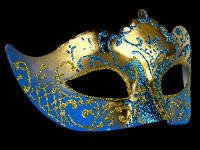 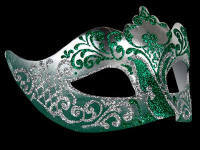 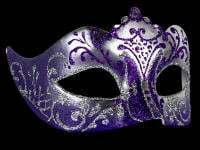 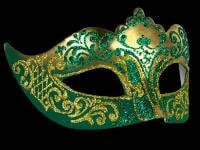 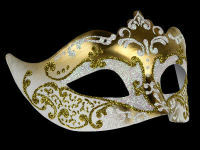 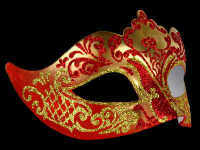 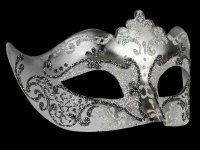 A masquerade mask for the woman with style. 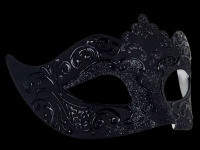 With black satin ties & entirely handmade in Venice Italy, this party mask captures the exquisite form of ones face by using traditional crafting techniques.